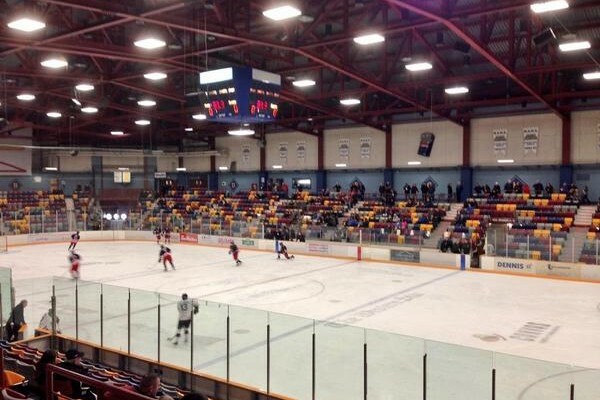 Fans of Newfoundland Senior Hockey have all but abandoned their favourite provincial senior teams. The remnants of a league gone by are now occupied by the Corner Brook Royals, Grand Falls-Windsor Cataracts, Gander Flyers and Clarenville Caribous in Newfoundland’s Central West Senior Hockey League (CWSHL). Each team is backed by dedicated volunteers, players and coaches that sacrifice their time, energy and in some cases their money, to keep their respective teams on the ice. They are the people who make hockey happen in these towns and in the last few seasons, fans have flipped them off. Attendance is at an all-time low for every team. Arenas that were once filled with dedicated fans are struggling to put “bums in the seats”. It isn’t a problem with just one or two teams; it’s a problem with all teams. Something is dramatically wrong when even your first place team is unable to sellout a regular season game. Fans complain that there are no fights, no checking and no intensity. They cry for the hockey of the 1970s and 1980s, hockey filled with bench clearing brawls where there was a bitter hatred for the opposing team. Here’s the harsh reality for those fans – get over it. That style of hockey isn’t coming back. Hockey has changed and that change has happened at all levels. The focus is on speed and skill. For those fans who long for a great tilt on the ice – that style of hockey won’t be coming back. Fans have to realize that it’s not only the old style of hockey that won’t be coming back but if the senior hockey league fails this time around, it will not be coming back to the province (at least not in its current form). The volunteers in these organizations are selfless people. They give 12 months of a year putting together the best team they possibly can. They take consistent criticism from the fans when a team loses but are rarely shown accolades when a team is doing great. They continue to give their time to keep us as fans entertained. Should these volunteers walk away from their respective teams, there will be no going back. Senior hockey that we know today will be gone forever because it is highly unlikely anyone will have the heart or finances to bring it back. Fans should think about how much they love a game before considering criticising or before deciding to stay home. These teams need our support. Get out; put your bum in a seat; buy a ticket to support them. Don’t let hockey go away because it won’t be coming back.